Soft condensed matter systems are of ever increasing importance for a wide variety of technological applications, ranging from material science, biophysics, biotechnology to food processing and micro- and nano system technology. Such systems are, however, of such complexity that it is difficult to extract molecular level information by typical experimental methods. The use of powerful neutron sources with advanced instrumentation, coupled with even more powerful computational modeling and direct analysis of experimental results from such sources, is opening new opportunities for elucidating the dynamics in complex soft matter systems. An optimal extraction of molecular level information contained in experimental data of soft matter systems depends heavily on the use of advanced data analysis and modeling for its interpretation by close collaboration between experimentalists and theoreticians as well as the application of complementary experimental techniques. The school will accordingly offer a series of lectures on ways in which inelastic neutron Scattering (INS), Nuclear Magnetic Resonance (NMR), Molecular Dynamics (MD) and other theoretical modeling methods can be combined to extract unique information on the dynamical behavior of a variety of soft matter systems. The school is structured as follows: select topics will be introduced by motivating lectures, which describe recent breakthrough results and also include basic information on data interpretation and complementary aspects of different techniques. The students will then select a small project and will be guided by a lecturer toward a solution. 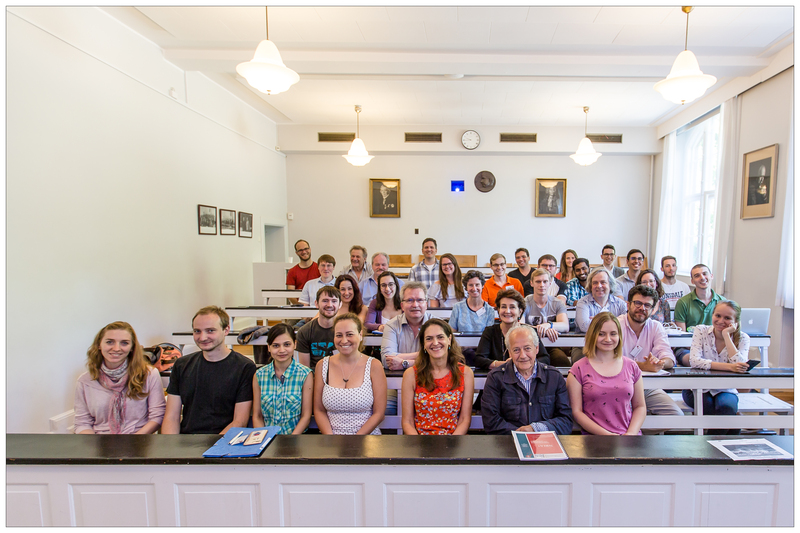 The goal of the school is for the students to become more familiar with forefront neutron scattering and molecular dynamics methods and their application to current research in complex soft matter systems. This workshop is sponsored by the PhD School of the University of Copenhagen, the Research Council of Norway (RCN), the "Soft and biological materials” Network within the Nordic Neutron Science (NNSP) NordForsk Programme and by the Science & Innovation with Neutrons in Europe in 2020 (Grant Agreement number: 654000 — SINE2020 — H2020-INFRADEV-2014-2015/H2020-INFRADEV-1-2014-1). There is no fee for the participants, but the school is limited to 20 students to be selected from the applications received. Students that fullfill all the requirements of the classes, take part in the neutron scattering data analysis course and give a short presentation will be credited with 2.5 ECTS points upon completion of this course. Students that submit an experimental report will be credited with 5 ECTS. Organizers: Heloisa N. Bordallo (bordallo@nbi.ku.dk), Juergen Eckert (juergen@usf.edu) and Kenneth Dahl Knudsen (kenneth.knudsen@ife.no). Local Support: Margerie Pouteau, Johann Raillard, Mattias Sauzon and Gitte Michelsen (gittem@nbi.ku.dk).